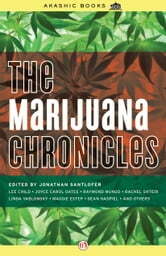 The Marijuana Chronicles is a grazing of grass culture; a pleasant collection with a leafy common denominator. It is divided into sections like other anthologies from Akashic Books. Four parts are titled: Dangerous, Delirium & Hallucination, Recreation & Education, Good & Bad Medicine. The stories scan illegal, medicinal, and recreational cannabis in our society today. It lightly singes the bowl of controversy and begs for further examination into this taboo topic of our world. The collection focuses mainly on cannabis in a time where legal states and a subculture exist within a country whose federal government deems use illegal. A deeper examination of the War on Drugs in relation to the War on Terror is revealed in “The Devil Smokes Ganja” by Josh Gilbert. Gilbert writes of a fictional character, Godfrey Jackson and his comedy partner, Pepperpot who are pot culture icons. The story follows Godfrey Jackson through an unfair arrest which lands him in Guantánamo Bay and is meant to seem far-fetched. However, in the book, Gilbert’s short biography lists him as a director. If you have never heard of Godfrey Jackson and Pepperpot, perhaps you have heard of Cheech and Chong. In real life, Thomas B. Kin Chong or “Tommy” Chong was the subject of a documentary film directed by our author, Josh Gilbert. The documentary follows the real trial of Chong and although he goes to Taft Federal Penitentiary; the reference to Guantánamo Bay is not an unreasonable allusion to his experience. The fictional tale of Godfrey Jackson is undoubtedly inspired by the real experience of Chong who was a target of the War on Drugs which was linked to the War on Terror shortly after 9/11. The story shows Jackson as a “Drug War Terrorist” and its prose examines the unwanted control of our federal government and our loss of basic freedoms, such as anonymity and privacy, when it passed the Patriot Act. The documentary film suggests Chong was targeted due to his character in the comedy duo Cheech and Chong and blamed, even demonized in court, for his comedic take on pot culture. Thomas B. Kin Chong served 9 months for the sale of bongs (paraphernalia) from a legitimate family-run business venture of which Chong was the largest share holder. The fictional tale seems so outrageous: a US citizen accused and treated like a terrorist and sentenced to Guantánamo Bay; but the link between the War on Drugs and the War on Terror is why Chong was targeted and sentenced. With many good arguments and supporting facts, the documentary suggests he was a victim of a type of witch hunt where his rights as a citizen were ignored and the federal government tried to enforce a moral agenda with Chong as their victim or example to the nation. The title of the story emphasizes this moral agenda by demonizing users of the plant. I found Gilbert’s story the most powerful of this anthology, straightforwardly stating, “The American judicial system is fucked and always will be” and ultimately the fictional narrator chooses to escape America to “some remote island in the Caribbean” as part of a “growing utopian cooperative” and focuses on “growing organic tomatoes” rather than fighting a losing battle against the federal agenda in America namely from “a too-big-for-her-boots US attorney” in the story who may be influenced by the real life Mary Beth Buchanan who was the US attorney for Pennsylvania during the trial of Thomas B. Kin Chong. Similar to the some of the issues in Gilbert’s story, the first story of the collection, “My First Drug Trial” by Lee Child explores the triviality and hypocrisy of a government being harsh on marijuana users when many of its citizens have been exposed to it at one time or another and it has proven very beneficial to some in lieu of traditional pharmaceuticals. Medical use of cannabis is a prevalent theme in “Julie Falco Goes West” by Rachel Shteir. The protagonist, Julie Falco suffers from Multiple Sclerosis and is determined to get to California for legal access to medicinal cannabis. In the book, she juices cannabis to treat her MS and in real life Julie Falco has been an advocate for medicinal cannabis in Illinois, while she continues to claim she is off most pharmaceutical drugs and using cannabis to treat her symptoms with a better outcome and without the debilitating side effects of previously prescribed pharmaceuticals. The use of cannabis for medicinal purposes is also touched on early in the book as it eases the pain of undead hookers in “Zombie Hookers of Hudson”. The collection does not however serve to fully support any motive concerning cannabis. The positive and negative attributes associated with the plant are also apparent throughout. Negative themes relating to the use of refer include: paranoia, supplier dominance over the user, and violent crime. Allow me to add violent crime in the stories seems to be planned before use and the offenders take advantage of the hazy thinking or the “togetherness” first seen in the hippie culture of the sixties. Positive themes include medicinal use, creativity, and togetherness. This is a good read for someone already interested in this subversive culture of our day, even if you personally experienced the clouds of users in the sixties and seventies. The book blends old pot culture with the new, wildly different pot culture of today. To date, 21 states and the District of Columbia have legalized marijuana for medicinal purposes. Recreational use has been passed in Washington and Colorado with many states considering some level of legalization in the coming years. This month (May 2014), the federal government voted yes to an amendment to stop raids in states that have passed legislation for medicinal use. Meaning the story based on DEA raids in the Long Beach area in 2012 “Kush City” by Raymond Mungo may already be something of the past, but the documentation of the process of legalization in the cowboy states standing against our federal government is fascinating. Following news regarding medicinal and recreational states can become a hobby, even without firing up the federally forbidden fruit. Previous Post Special Lev Grossman “Magician’s Kit” Giveaway! !